You might think this is an easy question with a simple answer. The briefest answer is that a seminary is a school that trains people for ministry. What that has meant over the last 500 years has been different at different places and different times. Even now people do not always mean the same thing when they use that term. The definition is changing yet again now as we move deeper into the 21st century. "The ministry of lay persons is to represent Christ and his Church; to bear witness to him wherever they may be; and, according to the gifts given them, to carry on Christ's work of reconciliation in the world; and to take their place in the life, worship, and governance of the Church"
This is no small order and it seems more than reasonable that living out this ministry requires that we know our faith, our church, and our scriptures. We all must know how to be agents of reconciliation (something the world desperately needs right now), and we must know how to lead and fully participate in worship. There was a time when Christians believed one learned all this by osmosis; that simply by living in a Christian family in a Christian society, the tenets of the faith would be received and the call to service would be inculcated. In that worldview seminary was saved for the small handful of professional ministers who made their living by serving the church in official capacities. They were expected to provide the advanced expertise needed to move the church from one generation of believers to the next. But what now? What happens in an age when one may grow up in neither a Christian society nor a Christian household? What happens when the presumed knowledge of scripture and the tradition that equipped one for ministry can no longer be presumed? How do we prepare the people of God for ministry now? Can we still leave it to the ever decreasing number of "professional" Christians to keep the faith for us and show us the way? If a seminary is to fulfill its purpose of preparing ministers for ministry, doesn't it have an obligation to prepare lay persons as well as clergy? 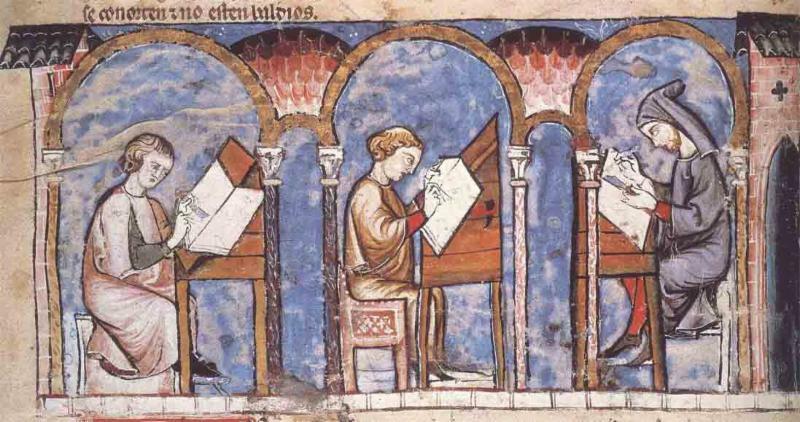 And, what might happen if instead of assuming that only professionals needed a rich in-depth knowledge of scripture, of theology, of the nature of the church, of the tradition, we believed instead that this kind of education should be available to all Christians? Now such a place, such a place would truly be a seminary for our day! That is our dream for Bloy House; to be such a place. To create means through which all Christians who desire to learn have the opportunity to learn, and to learn from some of the most astute, well educated, theologically trained experts and scholars in their fields. Are there challenges to such a vision? Surely there are; not the least of which being how does one provide access and how does one make theological education affordable? At Bloy House we are trying very hard to address both of these questions. But the last piece of the equation is who sets your souls on fire to want to be at seminary? Maybe for a day or week or a month or a semester or a year, or for several years. How does the passion for theological education get planted in each of us, and what can we at Bloy House do to help water that seed? 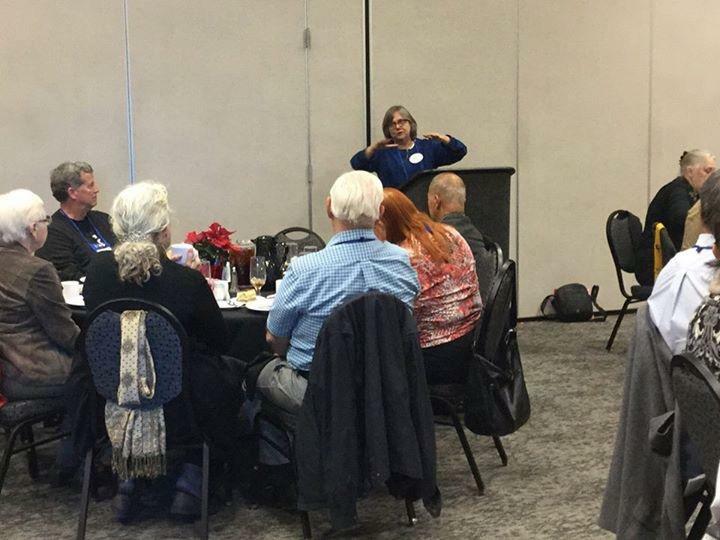 What is Education for Episcopal Leadership? Bloy House has always been open to and supportive of lay participation in course work. However about eight years ago we realized there was no easy way for lay persons to apply to attend Bloy House if they wanted to take a single class or an occasional class to further their own spiritual development or their ministries. To that end we developed the Education for Episcopal Leadership track at Bloy House. Our EEL students include those participating in the Li Tim-Oi Center classes, Fresh Start for Lay Leaders, the Instituto de Liderazgo, workshops and conferences, and those taking graduate level course work as auditors. By setting up this track we not only affirmed our commitment to lay formation as a critical aspect of our mission, but also created a much simpler process by which lay persons could be accepted to the school and apply to take classes. If you are interested in attending a Bloy House class as an EEL student, visit our website at www.bloyhouse.org and go to the prospective student section. 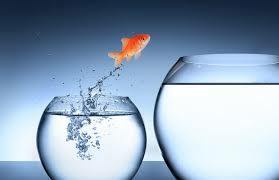 In that section you will see a link to materials about applying to the school as an EEL student. 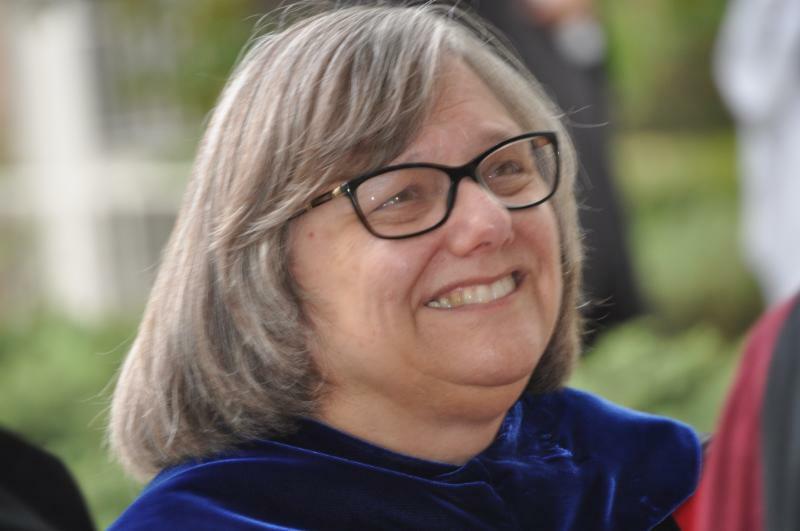 Renowned liturgical scholar and prolific Christian song writer, Ruth Duck, was a guest speaker at Bloy House in the "Introduction to Episcopal Worship" class this month. Dr. 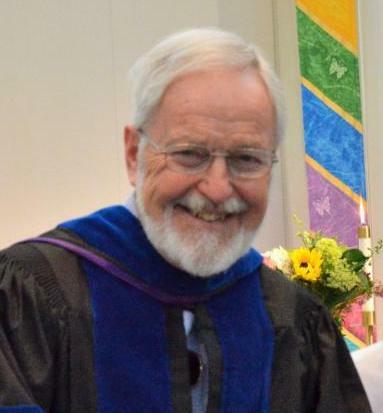 Duck, a United Church of Christ pastor and retired professor has written over 150 hymns, edited three books on Christian worship and written on the topic of Trinitarian theology, with special interest in facilitating the use of gender inclusive language in the context of Christian worship. 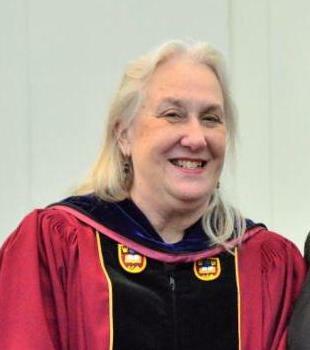 She is a leading, contemporary champion for and developer of inclusive language worship resources. Duck's topic for the class was the role of music in worship. Bloy House students had a chance to get to know Ruth, who also attended our Friday night worship service. She talked about the importance of music in worship planning and in addition to sharing her story helped students understand the creative process of both writing and choosing music for worship. 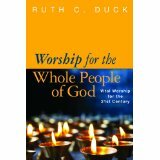 Ruth's Finding Words for Worship is a key text in the preaching class at Bloy House. 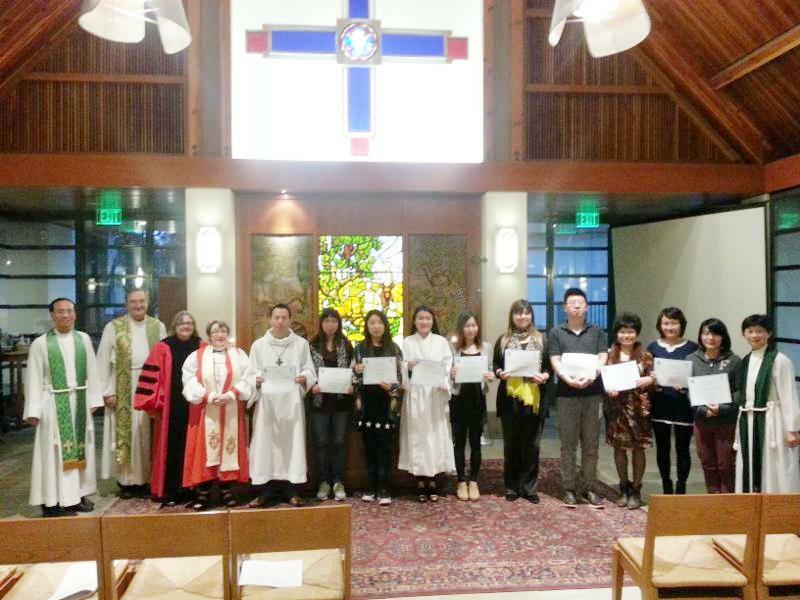 This month the eighth class, this one on Christian Worship, began at the Li Tim-Oi Center, a center for Chinese studies housed on the campus of Church of Our Saviour, San Gabriel. Seventeen lay persons will spend the next several months learning about how to participate in and lead Christian worship in an Episcopal context. The professor for the class is the Rev. Dr. Thomas Ni, Director of the Li Tim-Oi Center. These students are a wonderful example of how ministries can develop and flourish in a context where Christians have a passion to learn more about their own Christian faith. Below is a picture of an earlier class graduating from their studies. 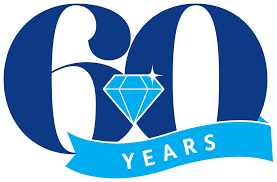 Saturday January 19 the celebration of the 60th anniversary of Bloy House gets underway with a gala event scheduled for that evening at Cathedral Center. Join with trustees, faculty, alumni/ae, Bishop Taylor and Bishop Jardine Bruce as we celebrate the last sixty years of ministry for our seminary and launch into the next sixty. Next month invitations to the event will be going out. The evening will begin with an opportunity to participate in a brief worship service designed by Bloy House students using the model of multi-sensory worship they use for the seminary's Friday night services. In addition to the gala there will be other special events taking place through out the spring. One of the big mistakes that Bloy House has made over the last sixty years has been in not asking our friends and alumni/ae to contribute financially to Bloy House. This year we need to begin the next sixty years of ministry by turning over a new leaf. The truth is we need your help both to keep doing what we already do so well and to expand our vision for ministry allowing Bloy House a to become a true center for Christian Formation for the whole diocese. We need your help, because we have a mission that is larger than our current revenue stream can accommodate. 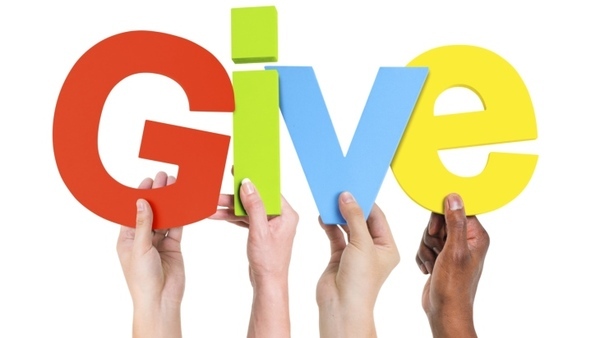 Educational institutions rely upon donors to be able to support the important work they do for our society. This is especially true for religious educational institutions that do not have access to research dollars or many of the other funding sources that secular schools may come to rely on. For Bloy House this is all the more true because we have refused to raise our tuition to the levels we need to sustain the school, because to do so would keep many seminarians called to lives of service and ministry from saying yes to God and making the courageous leap to pursue their callings. As more and more lay persons see the value and respond to the invitation to pursue theological studies, this need for financial resources to support our work will only grow. And so we are asking you who have benefited from the ministry of Bloy House either as alums or as the parishioners of alumni/ae to support us in our efforts. You can do this by giving generously to the seminary or by coming to be a student with us. 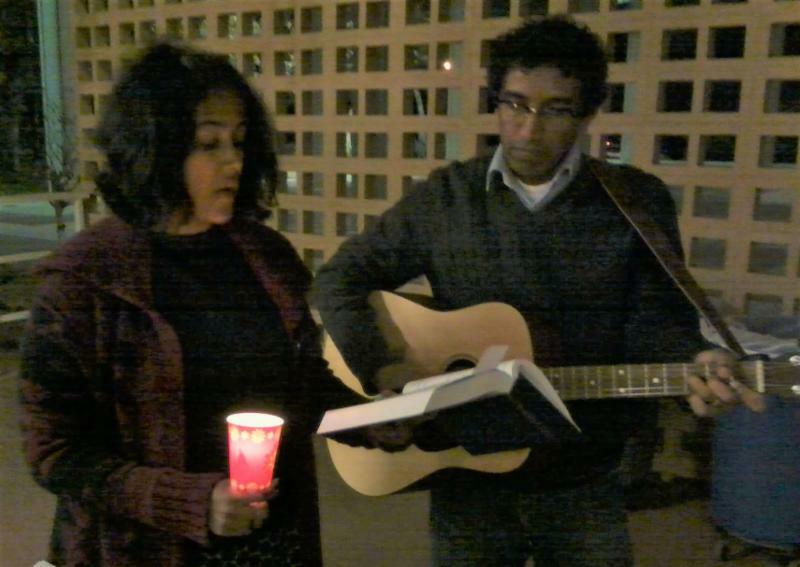 Both of those actions help us to fulfill our mission in the diocese and in the larger church. The best way to give is still by check. When you do so 100 percent of your gift goes directly to the school. In the coming weeks we will also be putting a new donate button on our website that will allow us to accept credit card gifts at a reasonable cost to us and as responsible stewards of your gifts. This should be in place by late September. 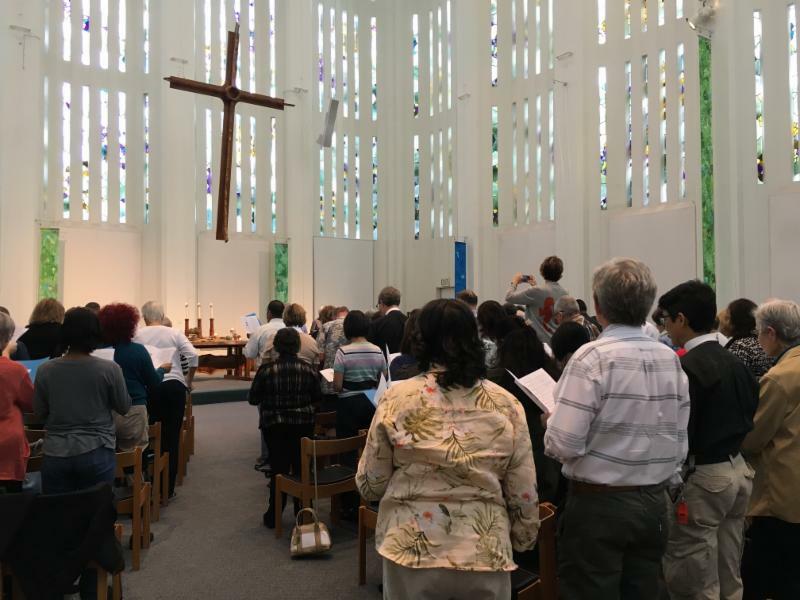 If you care about ministry in the Diocese of Los Angeles and believe in the work Bloy House is already doing to support people in their ministries, and you want to support an expansion of our mission, we ask you to give. Those wishing to take classes either for credit or as an Education for Episcopal Leadership student auditing the class should contact the Bloy House office before the end of November to receive a registration form for next semester. One of Bloy House's first intentional ventures into specifically lay leadership formation was the establishment of the Fresh Start for Lay Leaders program at Bloy House in 2011. This excellent program was first designed to speak particularly to wardens and key lay leaders in congregations that were in the midst of clergy transitions. 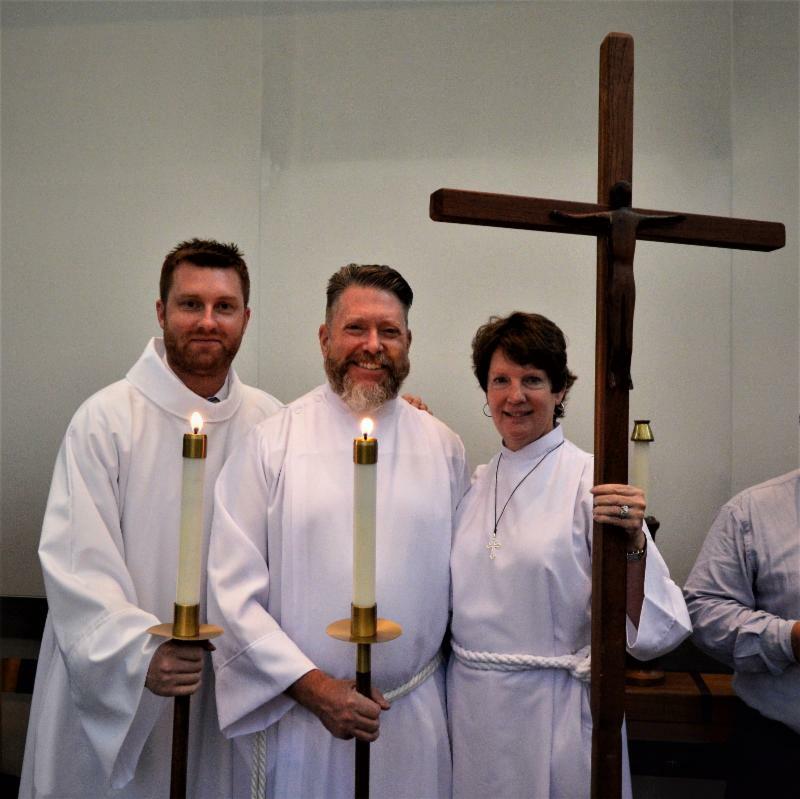 What we have found over the years is that the skills learned in this class have much wider applicability than just to congregations looking for new clergy leadership. We live in an age when the church is in constant transition as we seek to refine our mission and our ministry to meet the needs of our ever-changing, increasingly less Christian social and cultural context. 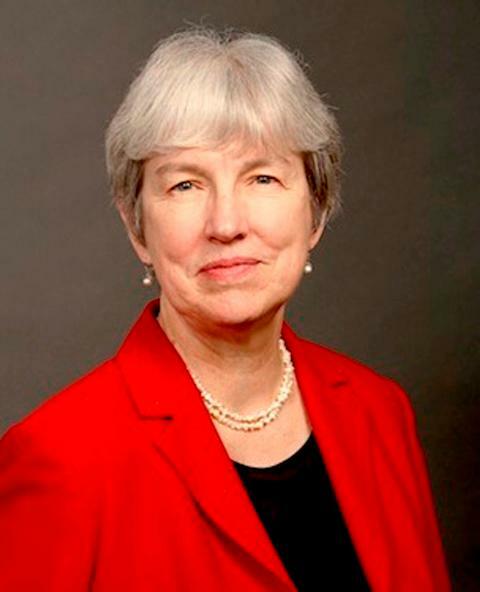 In the insightful, capable hands of Canon Joanna Satorius, lay leaders of the church have the opportunity to explore how this new world impacts the nature of church life and the church's ministry to the world. 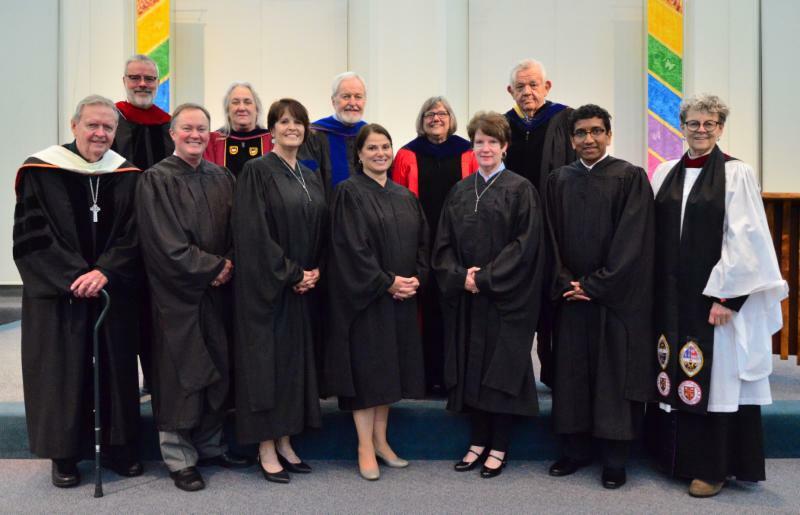 Congregations that have chosen to take part in the Fresh Start for Lay Leaders program find that the clergy of their congregations have knowledgeable and prepared partners for ministry with skills to help guide communities through the changes and challenges our life in faith. What no one can accomplish alone often becomes possible through the shared efforts of a strong clergy/lay team. Fresh Start teaches lay leaders how to be part of such a team. Bold dates indicate the second of back to back weeks in the semester. Bloy House is currently accepting applications for spring term 2019. Applications can be found by going to the prospective student section of the Bloy House website, www.bloyhouse.org . Those seeking to take for-credit course work should fill out the long application. 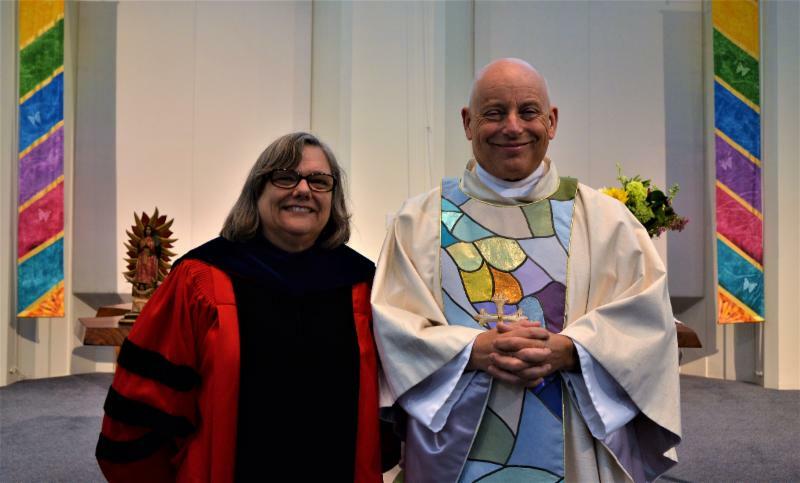 Those wishing to audit classes without academic credit may fill out the Education for Episcopal Leadership application. It has been a tragic week in this country. How does one even begin to make sense of the senseless murder of innocent faithful Jews attending their local synagogue, offering their prayers and their blessings to others in need? In what world does it make sense for a woman who survived the holocaust to be gunned down by yet another perpetrator of violence and antisemitism? How does such poisonous hatred grow in a society, and how can Christian people prevent such evils? If there is any kind of sense to be made from the events of this week, it is an acknowledgement of the reality that we are not yet living in God's time. In God's time evil does not win. In God's time human beings look at one another and see the inherent dignity and worth and beauty of each and every human being. In God's time we know that if we live and work and love together, there is more than enough of all that we need to go around. More than enough food, more than enough freedom, more than enough dignity, more than enough honor, more than enough love to go around. This is not God's time. In this time we live in paradox and often in tragedy. In this time people scramble to prove they are better than their neighbor. In this time we tussle over land and wealth and power and resources. In this time hatred often rules the day, and there does not seem to be enough love to go around. Starving individuals of love is as evil as starving them of food, and as life threatening. In this time we seem to erase God's time from our vision; and yet we can't. To be a person of faith we must live in the paradox. We must remember that God's time is still possible, even when it seems impossible to attain. When Jesus said "The reign of God is at hand" he was speaking to a people in a time much like this time. He was speaking to people who had every reason to give up hope, to give up dignity, to give up love, but who chose instead to heed his voice. Jesus, the Jew, knew that God's love could not be quenched. God's purposefulness could not be erased. God's goodness could not be extinguished from within God's self or from within the hearts of the faithful. Paradoxically goodness shines in the midst of evil. Hope radiates in the midst of despair. Kindness burns brightest in the midst of cruelty. At just the moments when we are most tempted to give up on God's time, God's time is made real for us. Not in the choices of a corrupt society or the ruthlessness of an avaricious age, but in the gentle touch, the soothing voice, the careful hand that reaches out to tend a monstrous wound. Perhaps we cannot prevent human violence and cruelty, but we can promise that that is not the end of the story. We can promise that the very best in humanity has not been and cannot be extinguished by the cruelty of the few. We can be the bearer of God's time, bringing moments of peace, of sanity, of compassion, of hope and of courage to a world gone mad. God's time lasts an eternity and can be apprehended in the blink of an eye. God's time has not yet come, but through us and through our love for the world, God's time may yet be seen, and known and felt in the here and the now. Already and not yet. It is the paradox of faith. May that which already is be made manifest. May that which is not yet be brought to fruition soon! Very soon! Bloy House | 1325 N. College Ave. | Claremont | California | 91711 | www.bloyhouse.org.